See for yourself how our solutions have transformed the customer experience and services provided by financial and retail institutions. TellerInfinity™ by Glory offers a unique combination of powerful features that transform the way traditional banking services are delivered. If you would like to discuss increasing efficiencies and profitability while also improving your customer relationships, turn to our team. We are here to help! You can reach us today by phone at 952.890.6661 or you may contact us online. 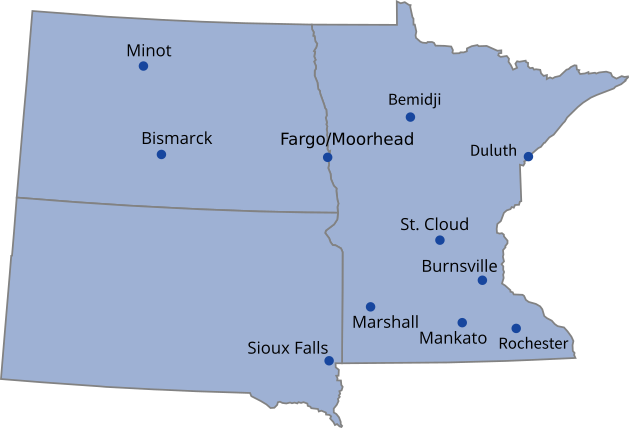 To best serve you we have nine service offices located throughout Minnesota, North Dakota and South Dakota.